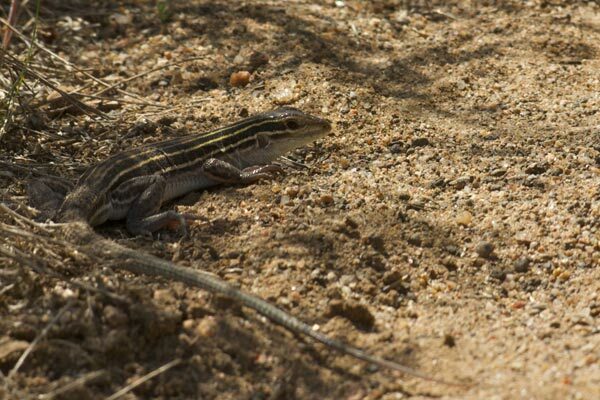 These whiptails were abundant in the dry open areas near the lush Oak Creek Canyon, but like all whiptails they rarely stopped still for more than about a tenth of a second. I was lucky to get this mediocre picture. 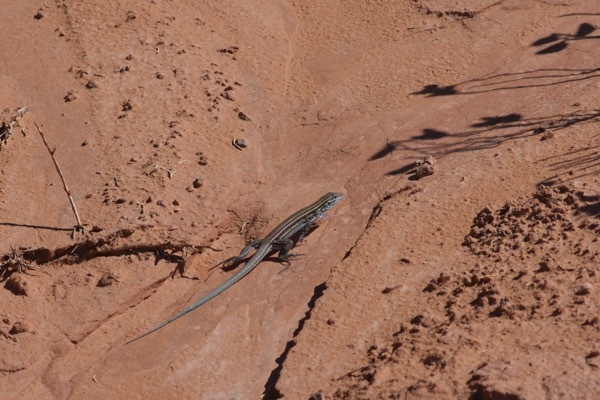 These unisexual whiptails were abundant at Natural Bridges also, but were generally no more cooperative than the ones at Oak Creek Canyon had been. This one did stop moving for a few seconds in the late afternoon shade, giving me just enough time for a few hand-held photos. 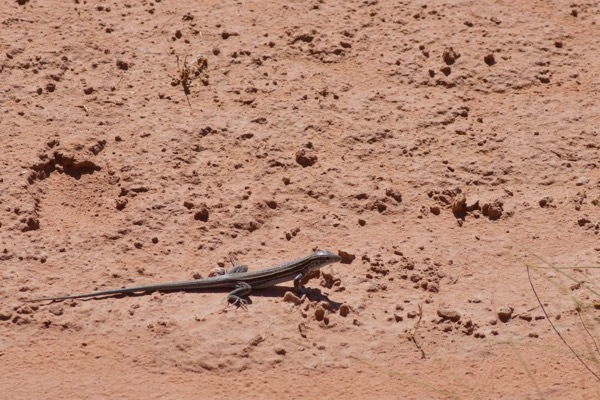 This whiptail was watching us play ball in the San Juan river with our dog Champ. 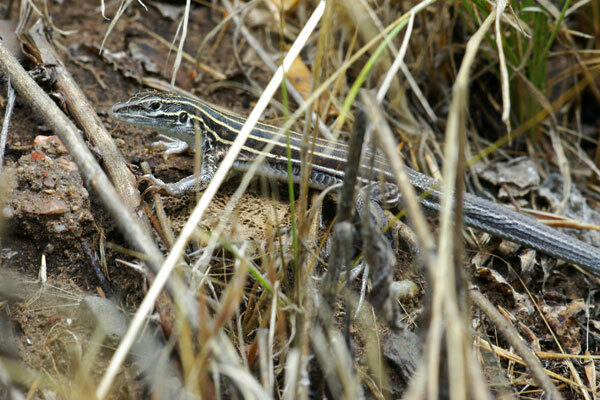 You wouldn't necessarily think that whiptails would be interested in that kind of thing, but what other possible reasoning is there for it sitting still long enough for me to get a photo? 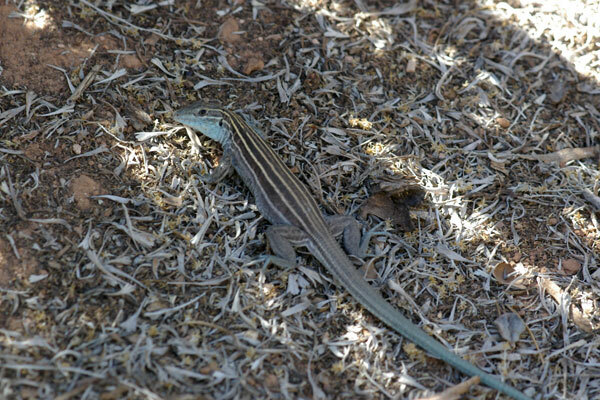 New Mexico has a variety of whiptail species. 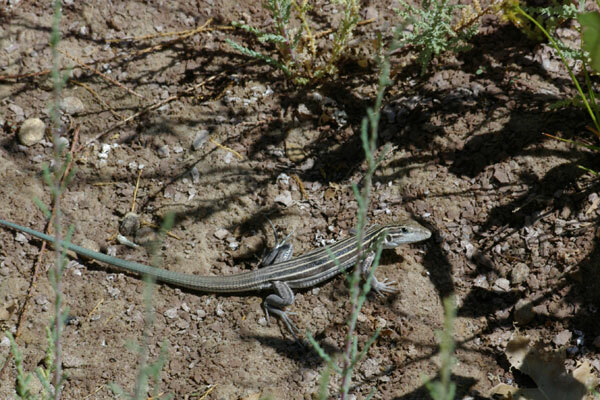 This is the only one that lives at higher elevations, such as the 6100+ feet elevation along the Rio Grande Gorge in Orilla Verde National Recreation Area. 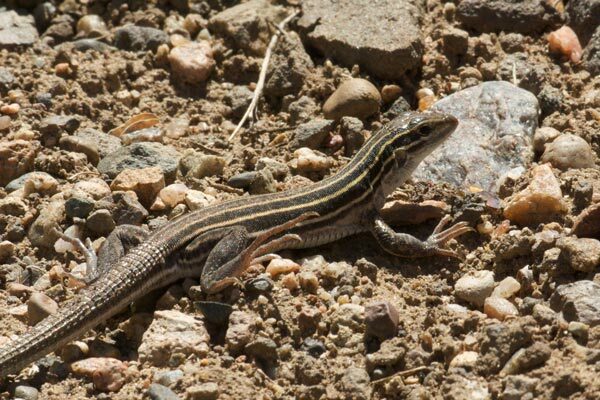 These whiptails adorned the harsh but beautiful landscape long before Kodachrome was a thing, and for at least a short time afterwards.